The ibis Belo Horizonte Afonso Pena is next to one of the most important avenues of the city, near the main business centers and tourist attractions of Belo Horizonte, such as Liberty Square (875 yards), Savassi Square (930 yards), BH Hippie Fair (0.6 miles), Belo Horizonte Central Market (1.2 miles) and Mangabeiras Park (1.5 miles). The hotel has 204 apartments with free WIFI, air conditioning, hair dryer, cable TV, minibar, telephone, restaurant open for breakfast and 24-hour bar area. The Comes e Bebes bar: open throughout the day, the ibis bar is ideal for meetings or just kicking back and relaxing. It serves a variety of snacks, light refreshments and drinks. It is near the center of city, has good traffic, and the food is delicious, but no hot water to drink at the room. The air condicioning machine was dripping water, the door was kind of jammed (hard to close) and the cleaning staff missed my room one day even though I was out from 08am to 10pm. The corridor was not very clean too. I stayed at Ibis Afonso Pena, Belo Horizonte for one week. My stay was great and all employees were ready to help and assist you in anything that they can. The only concern is regarding the internet. I worked remotely in the hotel and sometimes the internet was slow and in some ocasions, it dropped. The bath is clean and the cleaning service is very good. The strong part of the Ibis Afonso Pena, for sure, are the employees. I would like to congratulate all. The elevator is very good, but in the peak (in the begining of the morning and late afternoon) is not enough for all the rooms available. I did not have the breakfast and did not have lunch at Ibis. I've reserved with booking at Ibis not Ibis Budget. When I arrived at IBIS I saw that my reservation was Ibis Budget. Ibis Budget and Ibis are next door one another in Belo Horizonte. So, I canceled Ibis Budget and I stayed at Ibis. I've received the email of Booking .......Dear Jose Pissolato, We received your request to cancel reservation 18…. Even though there is a charge associated with this cancellation, we'll try to find the best possible solution for you. We've asked Ibis Budget Belo Horizonte Afonso Pena to make an exception for your reservation, and hope to have an answer for you shortly. The reservation policy you selected does not allow for free cancellation or modification at this time. This means that there will be a fee if you decide to cancel or make changes to the reservation. The policy details were stated at the time of booking, and are included in your reservation confirmation for reference. For any questions, you can contact the property at +5… or send them an email. Ibis true sample excellent in hospitality! the hotel is fit for the purpose: a brief visit. it would be good for the room service (cleaning) is done earlier, morning preferably during the week. Great place to stay, the staff are very helpful and the room is quite comfortable and quiet. The neighborhood is super quiet and quite leafy, close to several restaurants and bars and also the square of Freedom. The overall experience at the entire hotel was very pleasing and satisfying - since the room size, even the breakfast table. There was only one thing that bothered us: the shower was dropping even if it was closed. In the last day of our stay, the toilet flush was smelling so bad, and the staff went to our room and recommended that we must flush several times to solve this problem. Tranquilo. Reserva tranquila, Check in tranquilo, check out tranquilo. Comfort and very good cost/benefit.. Welll located with easy transport available.. Excellent crew and services level. Room clean and comfortable enough. Parking available Installatins overall well maintained. . It's was ok. But the staff, more specifically the clerks, could be nicer. 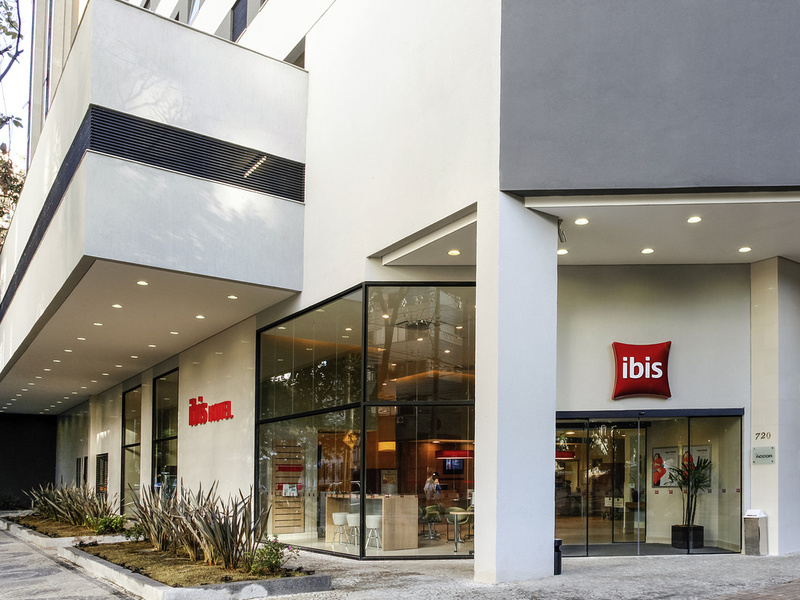 We stay at Ibis Funcionários once a year when we travel to Belo Horizonte. Service, location and staff are excellent. This time I found the breakfast quite limited in comparison, especially the fruit servings. Coffee was quite disappointing for a coffee production area such as Minas Gerais, though. Local e hotel ok mas internet fraca para trabalhar. Could see some improvement in the check in experience. Besides that, it all went pretty good.